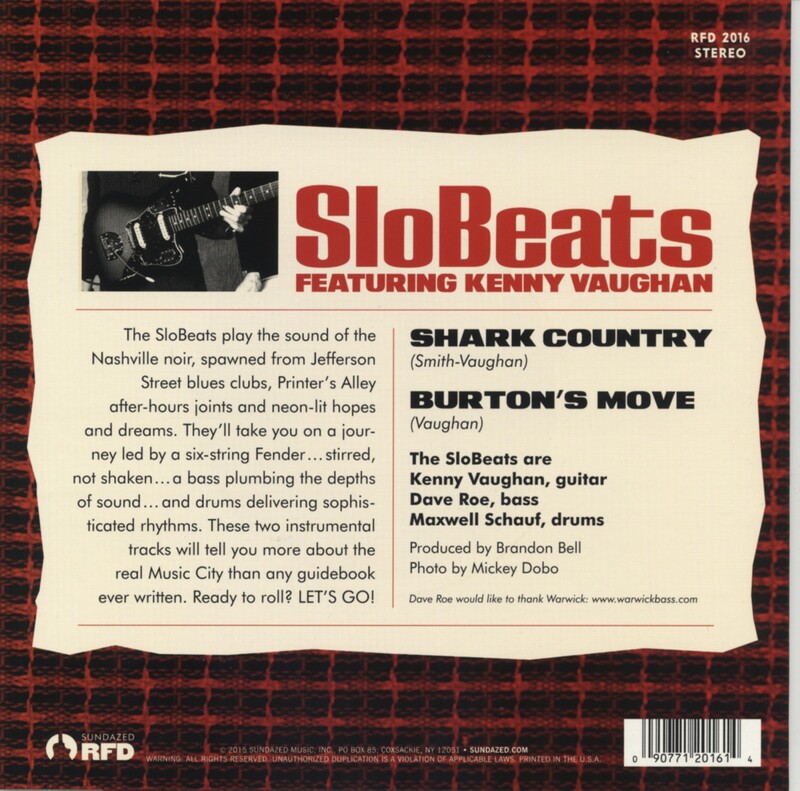 Kenny Vaughan is the guitarists’ guitarist in a city filled with six-stringers. Dave Roe has played bass for nearly everybody worth hearing. Max Schauf can nail down a rhythm tighter than your favorite jeans. Together, they are SloBeats, a trio bent on bringing instrumental sophistication to musical connoisseurs everywhere. In their experienced hands, songs become aural travelogues, taking you on a journey through genres and styles. It’s a trip you’ll want to take again and again. The single’s A-side, 'Shark Country,' is a surf instrumental, marinated in reverb and sautéed in saltwater. Listen closely as Vaughan adds some Les Paul-esque touches in the background, creating a multilayered atmosphere full of anticipation with a hint of menace. Cowabunga! The B-side, 'Burton’s Move,' tips its titular hat to Telecaster pioneer James Burton with a decidedly danceable rhythm. You couldn’t ask for a more fitting tribute to one of the most tasteful guitarists in history! As part of the Sundazed RFD series, this single showcases some of Nashville’s finest musicians. It is a direct reflection of the depth of talent and sheer joy of playing inherent in the Music City scene! 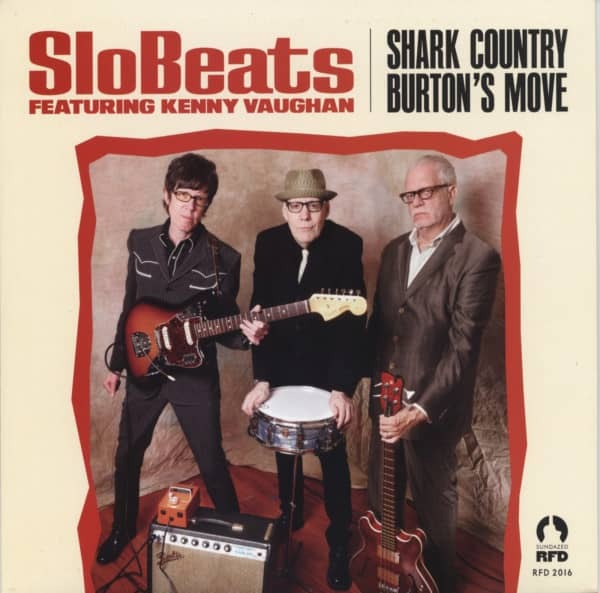 Kundenbewertungen für "Shark Country - Burton's Move"